The Year Without a Summer was also known as "Eighteen Hundred and Froze to Death", was the summer of 1816 when extreme summer climate anomalies sent the temperatures to decrease worldwide. This dip in temperature resulted in food shortages in all of the northern hemisphere. The causes of the extreme weather is now thought to be a combination of numerous volcanic eruptions and low solar activity. Mount Tambora, a volcano in Sumbawa, Indonesia, erupted several times in the 1800s, but the eruption on April 10, 1815 was so gigantic, it was heard so loudly that many people more than 1,600 miles away initially believed it to be cannon fire and many thought war had broken out. That eruption followed directly on the heels of the eruption of the same volcano only ten days before. It was four times larger than Krakatoa would be 68 years later, and it killed more than 10,000 people. While the most dense ash fell to the ground within a few weeks after the eruption, the finer particles of ash remained in the upper atmosphere for up to three years. These particles were spread by the wins around the globe causing phenomena including brilliantly colored sunsets as well as oddities in the climate which affected the New England and the rest of the American Northeast, Newfoundland, the Canadian Maritimes, and Northern Europe. This volcanic eruption would play a large part in the "Year Without a Summer," which is also known as "The Poverty Year," "The Year There Was No Summer", "The Summer that Never Was," and in some places, and in some places, "Eighteen Hundred and Froze To Death." There were, however, numerous other contributory events to that summer anomaly. In addition to the Mount Tambora eruptions, four other volcanic eruptions which took place between 1812 and 1814 played a part in the agricultural crisis during the Year Without Summer: one in the Caribbean, one in Japan, when the Philippines, and one in a different part of Indonesia. Modern day experts estimate that the 1815 Tambora eruption caused the Earth's average land temperature to drop by about 1 degree Celsius. 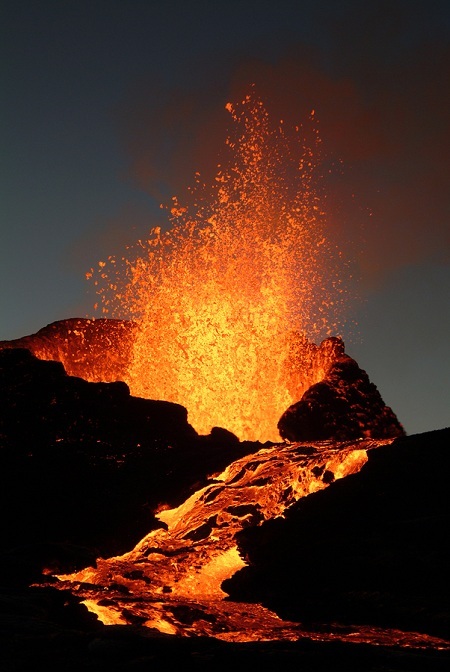 The smaller volcanic eruptions caused drops in temperature which was somewhat smaller. At the same time, there was a drop in magnetic activity which caused the sun to appear dimmer and which inhibited solar light energy in May and June of 1816 and inertial solar motion, which means that the sun was shifting position within the solar system. This happens about every 180 years. Frost killed off most of the crops which had been sown in the northeastern regions of the United States and of Canada, resulting in a true famine, resulting in malnutrition, epidemics, starvation, and numerous deaths. On June 6, 1816, a large snowstorm battered New York and New England. Northern Vermont witnessed 18 inches of snow on June 8. Throughout July and August, temperatures dropped to 40 degrees Fahrenheit as far south as Connecticut, and ice was reported in lakes and rivers as far south as Pennsylvania. And strangely, the temperature would swing from below freezing to the 90s and back down again. Farmers in the Northeastern United States suffered a dramatic drop in crop yields that year, losing more than 75% of their corn, making the cost of grain and vegetables exorbitant. In Montreal, snow fell and temperatures dropped below freezing every night for more than a week, and there were numerous and credible reports of birds falling from the sky, frozen to death in the streets. Quebec City had more than 14 inches of snow at the same time. China experienced nationwide famine when the rice paddies filled with frost and ice, and the tropical nation of Taiwan experienced snow. It was reported that Italy saw red snow falling for the entire year, and Hungary had brown snow; both conditions attributed to volcanic ash. Europe, which was still reeling from the Napoleonic Wars, suffered even more severe food shortages, and because of that experienced riots and looting in France and Switzerland. More than 200,000 people in Europe died from a typhus epidemic or malnutrition, and the cholera epidemic in Southern India that year is also thought to have been due to the weather that year. But there was something of a silver lining around the cloud. The fact that oats were scarce in Germany is said to have inspired Karl Drais to invent the velocipede, the predecessor to the bicycle. Justus von Liebig, who had lived through that summer and its famine grew up to become a chemist who created the science of plant nutrition and introduced plant fertilizer to the world. It was during the "Summer that Never Was," Mary Shelley and her friends who were at Lake Geneva, Switzerland for their summer vacation, were forced to remain indoors. As a way to pass the time, they had a friendly competition to see who could write the scariest short story. Mary won with her story about Frankenstein. Her future husband, Lord Byron, wrote his famous poem "Darkness" during that time. The crop failures and financial ruin of farmers caused a massive migration of many farmers from the Northeast to places in the Midwest such as Nebraska, Kansas, Michigan, and Iowa in the 1820s. Vermont alone lost more than 10,000 people, one of whom was the family of the future founder of the Church of Jesus Christ of Latter-day Saints, Joseph Smith, who left Sharon, Vermont for Palmyra, New York. Highlights the effects -- such as food shortages and riots -- of the strange weather in 1816 around the world in countries including Canada, the United States, Ireland, Britain, France, Switzerland, and Asia. Subtitled "A New Hampshire Perspective," this web site recounts the shock waves sent out from the eruption of Mount Tambora in Indonesia and caused devastation in the New England state of New Hampshire. Provides the perspective of those in Maine in the summer of 1816, including the fact that there was a foot of snow on the ground and the temperatures were routinely quite a bit below freezing. Contains excerpts from the diary of someone in Fryeburg, Maine, and descriptions of what it was like that summer. This website and slide show presentation recounts the eruption of the stratavolcano in Sumbawa, Indonesia and what happened because of it half a world away. It also delves into what the author says are two other factors, the weak magnetic activity and the shifting of the sun's position within the solar system. Search for Year Without a Summer on Google, Bing, or Yahoo!